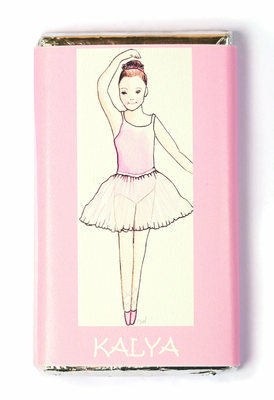 BALLERINA DESIGN - Perfect for the little girl who loves ballet. This "ballerina" wrapper design is also available on our other personalised products. This wrapper artwork was designed exclusively for It's A Wrap Cornwall by local Cornish artist Rachel Henson.